A new local customer called as her water softener was not working very well. On closer inspection we found that the salt tank was jammed with salt keeping the remaining block from doing its job- making brine. No brine no soft water. So one clean and service later the customer had soft water back and was happy to find a local company that could help her out. We mentioned while we were there that we could send her a service reminder if she wanted and that made her day. 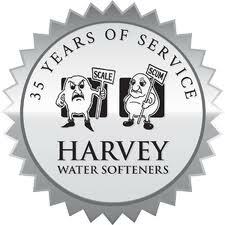 Here is a short video showing how a softener can get clogged and the correct way to put the salt in.